I love Halloween!! When I saw this Spooky Hoots pattern at KaDoodle Bug Designs, I knew I couldn't wait until October to make it. I also wanted to enter in the Peachy Keen challenge this week which is a sketch, so this is my take on the sketch. I used a variety of papers from K&Co, Martha Stewart and MME Mischievous. I inked all the edges in Tim Holtz Tea Dye Distress Ink. The leaves are from a Martha Stewart punch. The owls face is from PKS Large Critter set and leaves faces are from the Cornies. LOL...Totally Cute, Cool & Fun!!! What a fabulous card Tara, love the owl!! This is so cute!!! I love those little faces on the leaves and that owl and bat are fabulous!! Great card my friend! This is super adorable Tara! Great take on the PK sketch!!! LOVE that cutie Owl! This is soooooo cool and I LOVE owls... you did a great job with this Tara!!! OMG...too darn cute...love that frankie owl! Love your card!SOOOOOOOOOOOOO VERY CUTE!!! This card is fab!!! Love everything about it!!! Craft on my friend!!!! WOW! You did a great job with Peachy Keen's Sketch Challenge. This is so darn cute. Tara, this is so cute! I love that owl! 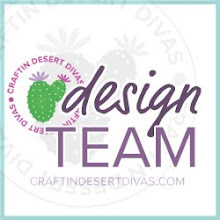 Craftin Desert Divas Design Team Call! Welcome Back To School Facebook Fanpage Hop!! 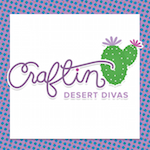 Back To School Linky Party!!! You are my shining star! !